What happens in Texas may not stay in Texas — a good reason for women across the United States to be concerned. In 1973, the U.S. Supreme Court decided in Roe v. Wade that women have the “constitutional” right, guaranteed by the 14th Amendment, to determine the course of a pregnancy. The Court will be hearing oral arguments for the case, Whole Women’s Health v. Cole, in March. The Center for Reproductive Rights will be representing Whole Women’s Health. Amicus curiae briefs have been filed to embody a continuum of voices — from the Republican Majority for Choice (12/31/15) to the Institute for Women’s Policy Research(1/4/16). The 45 amicus briefs encompass those from the fields of medicine, law, religion, the military, and economics. Government is represented by 39 Senators and 124 Representatives. The goal is to bring the personal stories of women to the fore (one in three women has had an abortion), and contextualize how this law is placing an “undue burden” on women. What will that means for the 5.4 million women in Texas of reproductive age who need an abortion? Presently, average wait times have grown from five days (pre-HB2) to as long as 20 days. This leads to a potential increase in second trimester abortions. Who are the women who will be the most severely affected? Those who are poor, from underserved communities, and women of color. The stated objectives of ensuring high health standards, as put forth by Texas lawmakers, has been challenged by The American Medical Association and the American College of Obstetricians and Gynecologists (both filed amicus briefs). 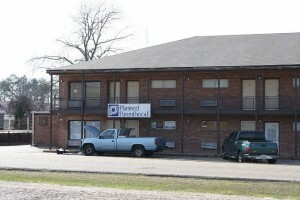 They maintain the law makes access to abortion less safe and accessible. Are these laws based on medical necessities or are they politically motivated versions of other anti-choice initiatives, like the over 250 new laws in 38 states that have been instituted since 2011? On January 5, the Center for Reproductive Rights hosted a press call drilling down on “stakeholders” who had signed amicus briefs. Wendy Davis, former Texas State Senator, Jessica González-Rojas, executive director of the National Latina Institute for Reproductive Health, and Cecile Richards, president of Planned Parenthood were featured speakers. It is beyond ironic that a woman’s right to choose will be facing scrutiny this year during Women’s History Month. People are like this competitions and i think this is more good tips for us. Today woman play an important role in every sector of profession. So there are no way no underestimate of them.